Sugar consumption is broken down into two types: complex and simple. Complex sugar is the kind that is good for you, it takes longer to break up in your body and comes from natural carbs like fruit, beans, and oats. Simple sugar is the one you want to have as little of as possible. Simple sugar is processed and refined sugar that is found in baked goods, sodas, syrups, and much more. The problem with simple sugar is that it processes through your body so fast that it makes your blood sugar spike and then crash, making you feel hungrier afterward. There are several health issues linked with simple sugar consumption. Your immune system doesn’t function as well within 5 hours of consuming simple sugar. The sugar makes your white blood cells less effective at fighting bacteria during those hours. One of the most common side effects of simple sugars, as we said earlier, is the spike in blood sugar, which gives us a high of sorts. Unfortunately, the sugar low followed by the high depletes our energy reserves and makes us agitated and ‘hangry’ (hungry-angry). 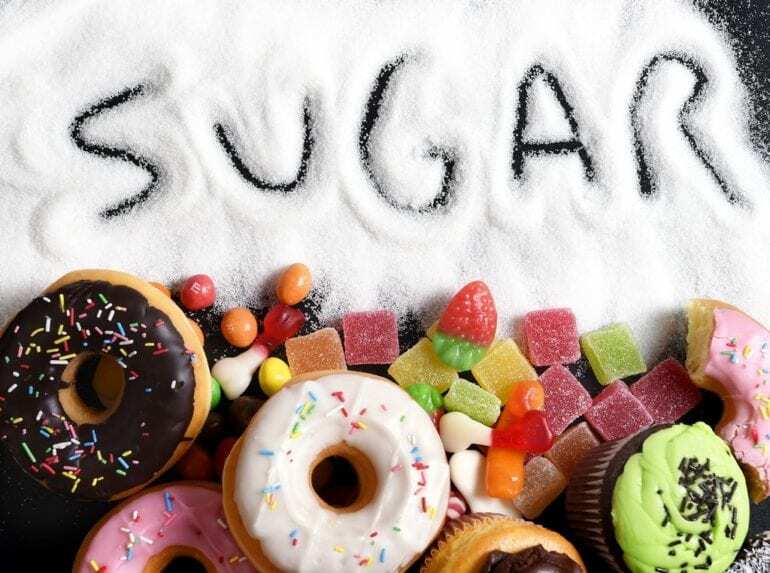 In addition to the aforementioned issues, dental health is also compromised as a result of simple sugar intake. Remember what our mothers said about eating too much candy? They weren’t wrong. Sugar we eat or drink is mixed with our plaque and increases the risk of tooth decay (exemplified by the video of a tooth in a glass of soda). The American Heart Association has also stated that “Over the past 30 years, Americans have steadily consumed more and more added sugars in their diets, which has contributed to the obesity epidemic.” And as we said, the obesity rate is in direct correlation with the rise in diabetes. What is more disconcerting is the fact that many Americans know the path that simple sugars will take them down yet they are so addicted to the substance that they cannot change their lifestyle to better their health. Over the last couple of years, with the rise of the ‘foodie’ trend, there are more people who are interested in cooking and baking their own food and spend less time and money on premade food and restaurants. The DIY and meal prep mentality of foodies is the angle that the various health organizations are pursuing in order to educate people about their culinary way of life.